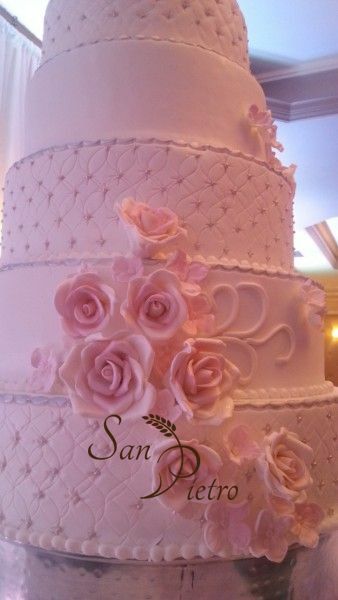 Boulangerie Pâtisserie SanPietro Bakery | Elegant Wedding Cake – Largest Wedding Cake of the Season! 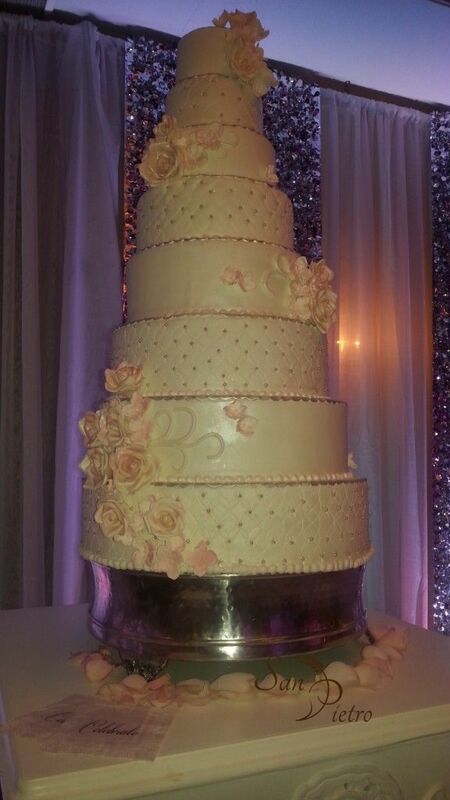 Elegant Wedding Cake – Largest Wedding Cake of the Season! 22 Aug Elegant Wedding Cake – Largest Wedding Cake of the Season! I participated this weekend in a very nice event. I am still amazed by the decoration of the room, worthy of an American wedding movie! The Bride and Groom requested a large elegant wedding cake, so we had the honor to produced the largest wedding cake of the season. Here is a close up view of the Wedding Cake, and all items were hand made and yes took several hours to create! With very fine details on each of the 8 tiers. 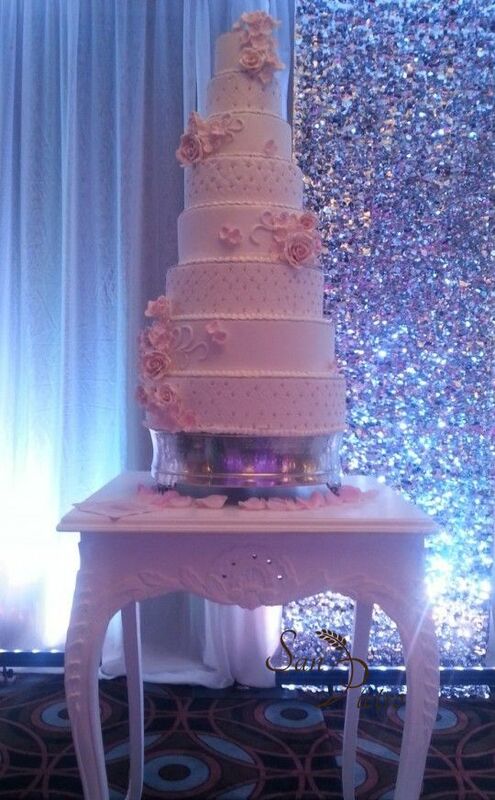 Apart being 8 tiers high, our bride and groom, also requested that we put the cake on a metal cake plate, which made this cake over 5 feet high! We literally had a challenge setting this one up! 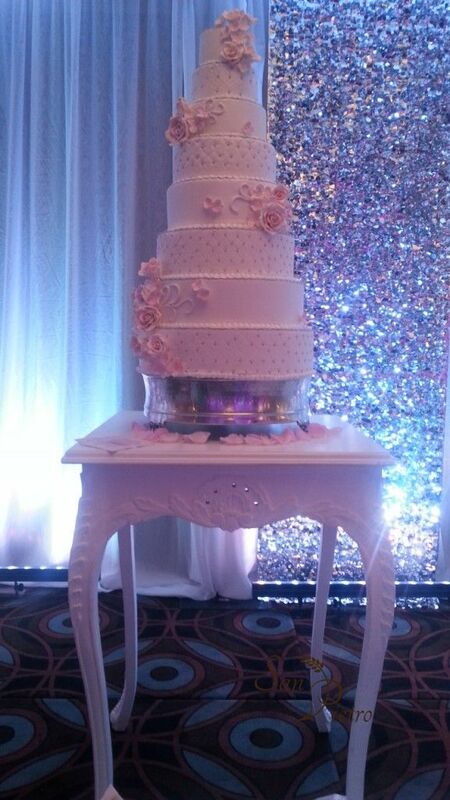 Voila, total height with table brought the cake to nearly 10 feet tall !! !